In public service area, it is getting more and more important to provide users with in time info service. Previously, people are crowded at info desk to ask questions, such as hospitals, airports, train station, subway station etc. With the application of inquiry machine, this issue is getting solved greatly. At the begining, people carry a printed code on lable to get scanned by the inquiry machine to get the info they need. Owing to the development of technology and wide usage of smart phone, QR code is more and more convenient and popular. Printed code on lable is no longer a necessary, which also provides a low carbon life style. 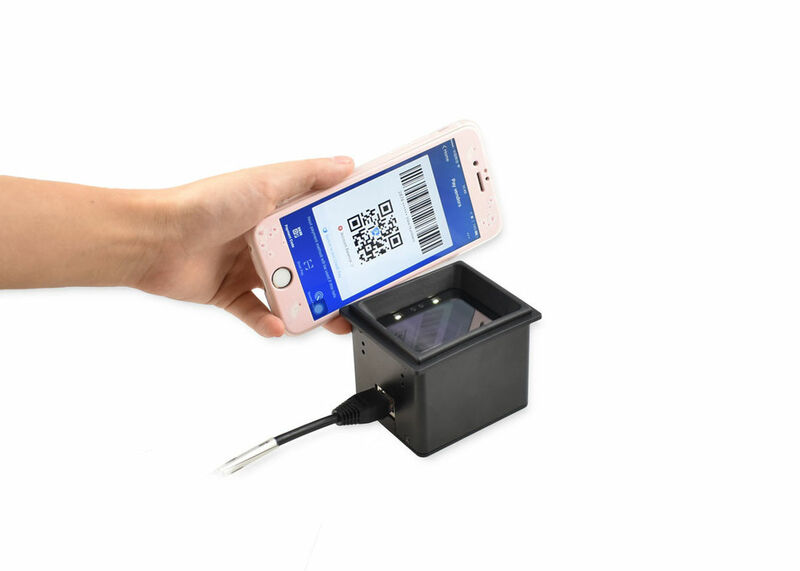 In recently years, people get a valid qr code on their phone screen, and they will get the infomartion they need or even print their tickets directly at the kiosk. For such public area application, the efficiency is very important. People need to get satisfactory experience in a short time. The response time of scanner is extremely important. RD4600 is such a scanner. When phone screen code is presented, it only needs less than 0.4 second to response. Users can get first time scan easily. The phenonmenon of crowds waiting at info kiosk is greatly relieved with this high tech kiosk. When you develop such kiosk, pls kindly contact us for RD4600 2d barcode scanner, which will be just right for you! 2. Image auto-detection, supports presentation scanning mode. 4. Protects your future investment with 2D capability at an affordable price meeting both current and future barcode scanning needs. 6. Suitable to operate in diverse working environments. Noted: If customers need TCP/IP interface, we can supply a board together with the scanner. Customers can also develop their own board. Armed with latest Rakinda scan technology, the scanner excels at scanning on-screen code even when the screen is covered with protective film. The IR sensor inside the scanner can sense the object quickly. It will start to scan immediately when a code is passing by. With over 18 years of experience in barcode scan technology industry area, Rakinda has achieved some important success by enormous effort. The scanner products are certified by CE, FCC and RoHS etc. Rakinda sticks to "born to challenge" to deliver best products and services to our customers. Rakinda does the best to be your reliable business partner.